We’re coming to Salon International! We are proud to announce we will be exhibiting at the world’s biggest & best hair exhibition, Salon International 2017, now that we’re in October. We will continue to look for more Elite Salons to join our family around the UK and the rest of the world. With only a handful of carefully selected salons currently with us, our philosophy focuses on “quality over quantity” awarding Gold Class accreditation to salons that meet our strict criteria in the professional application, tailored client aftercare and our “healthy hair days” regime. Read more on our website or come and chat to the team on the stand. Although Gold Class certification is by application only, we are now offering our world-class hair extensions equipment and tools to all professional extensionists. Choose from Application Workstation, Application Machine, Removal Tools, Bond Cutters, Brushes and our complete Aftercare Range – all vigorously trialed and tested by our founder Inanch Emir. These will be available to purchase at Salon International for the first time and with a great discount available at the show only! Meet the lady herself Inanch Emir on Sunday 15th October at Stand N191. She will be judging the Hairdressers Journal Extension Specialist of the Year competition at lunchtime and will be available to meet and greet during the rest of the day. You can ask her yourself any questions about the Gold Class brand, the hair, the equipment and what really puts Gold Class on a different level. We’re giving away one of our beautiful Hair Extension Workstations worth £780 complete with delivery to anywhere in the UK. 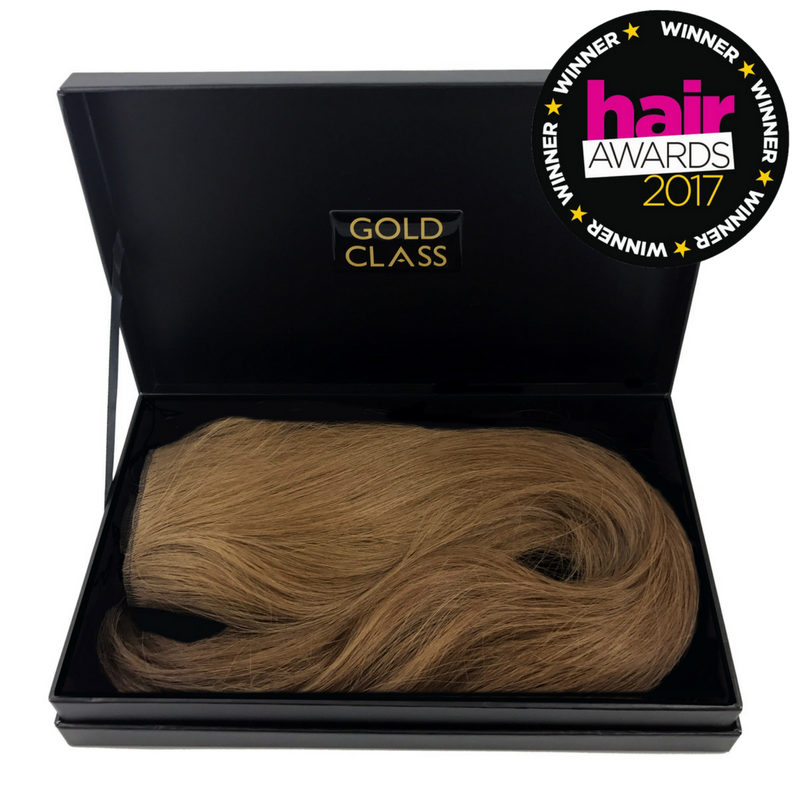 Simply head to our stand N191 at Salon International London Excel and drop your business card into the gold box to be in with a chance to win this amazing prize. The winner will be drawn on Monday 16th October at 4pm LIVE on our Gold Class Instagram feed! If it’s not in your diary then it’s 14-16 October at ExCel London and you can find us at Stand No. N191. We hope to see you there! – Winner will be picked at random by Gold Class Managing Director Joe Emir LIVE on the Gold Class Instagram feed. – All entries MUST submit business cards with full salon name, email address and address so we can get in touch to organise delivery. – UK salon & stylists entries only for delivery in UK only. – No cash alternatives will be offered. – In the event of a dispute, Gold Class Hair Ltd decision shall be final.